Manchester United manager Jose Mourinho may have got his side back to winning ways against Newcastle, but he managed to cause more upset in the process. The Red Devils ended a run of four games without a win by coming from 2-0 down to complete a stunning 3-2 comeback victory over the Magpies at Old Trafford at the weekend. However, it seems this might not necessarily be enough to improve the atmosphere in the dressing room, with Mourinho rubbing two players up the wrong way with some of his actions. The players in question are Marcus Rashford and Eric Bailly, with the former said to be ‘bemused’ by comments made by the manager questioning his temperament to play in the match, while Bailly was supposedly ‘also upset’, most likely due to being subbed off early in the game due to a tactical change, according to the Sun. 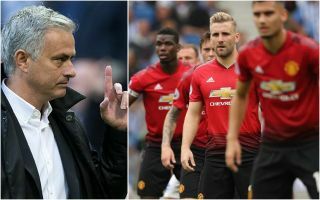 Mourinho certainly does have the habit of speaking his mind a little too quickly, which has led to squad disharmony at his previous clubs as well. The Portuguese notably left stints at Real Madrid and Chelsea under a bit of a cloud, and the mood at Old Trafford has seemed similarly sour at points this term. There seemed little need to single out Rashford, but it seems the 55-year-old sometimes cannot help himself. Speaking about the England forward after the game, he is quoted by the Sun as saying: ‘Maybe it was my wrong decision to play Marcus Rashford and Scott McTominay. ‘They were not ready for this level of pressure that the man-hunting is bringing. I cope with it.